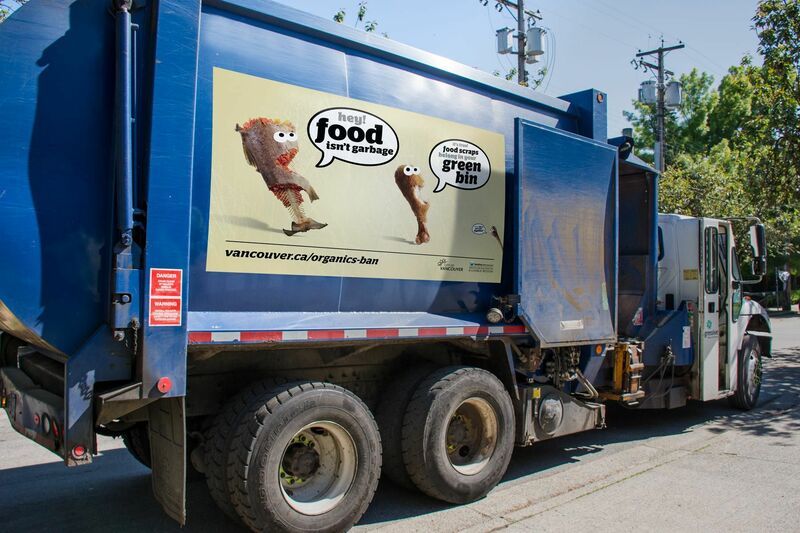 Organic waste management is no joke – but it can be funny. We’re not engineers, but we know a thing or two about people. They don’t like to be talked down to. Garbage is a yucky subject. So, lighten it up! 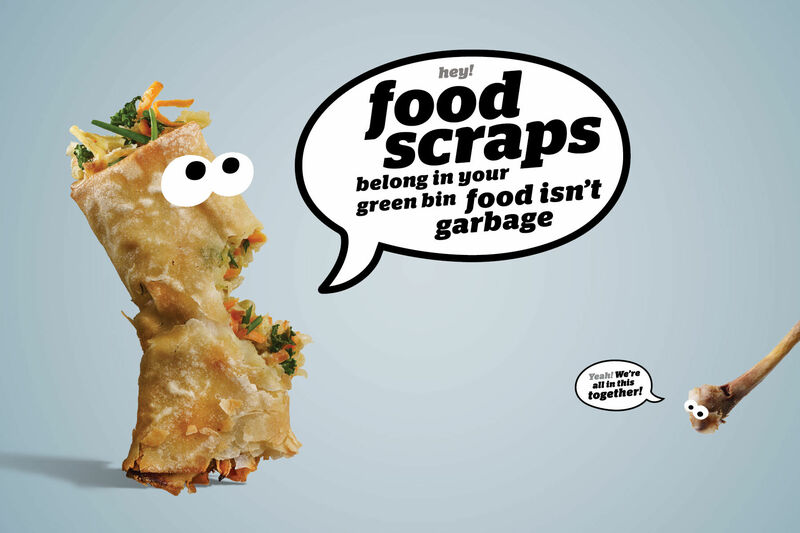 As of January, 2015 organic waste was no longer allowed in Metro Vancouver garbage. The region allowed a six month grace period in which to educate the public on methods for alternate disposal solutions. Ion was engaged to develop a regional organics campaign that provided impetus toward behavioural change in residents moving toward the upcoming ban. 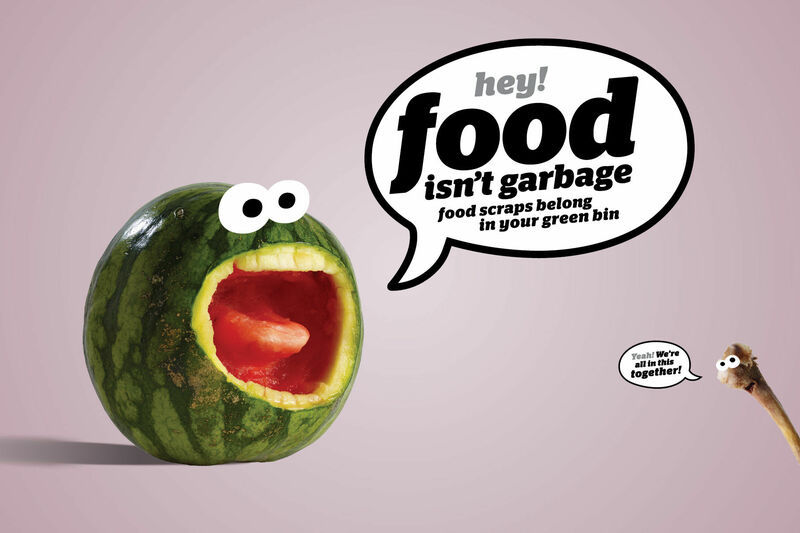 Organic waste management is no joke – but it can be funny. We’re not engineers, but we know a thing or two about people. They don’t like to be talked down to. And garbage is a yucky subject. 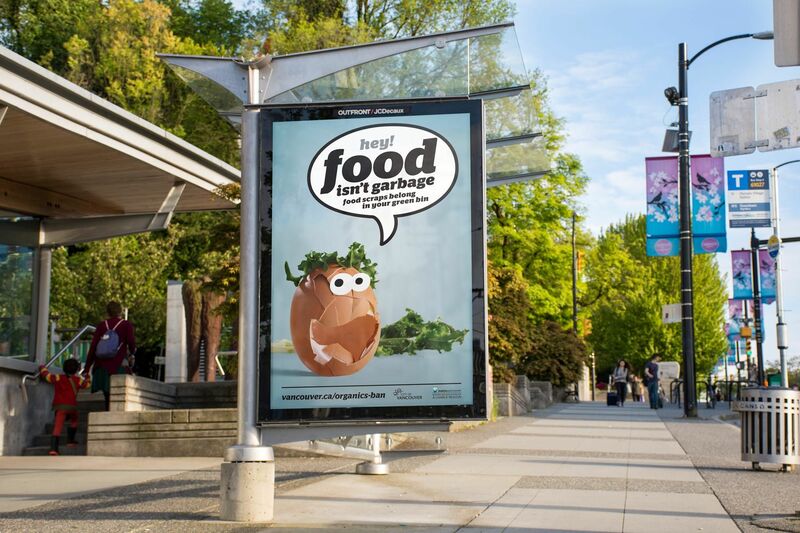 So we suggested, “Lighten it up!” When organic waste was no longer allowed in Metro Vancouver garbage, the region allowed a six month grace period in which to educate the public on methods for alternate disposal solutions. 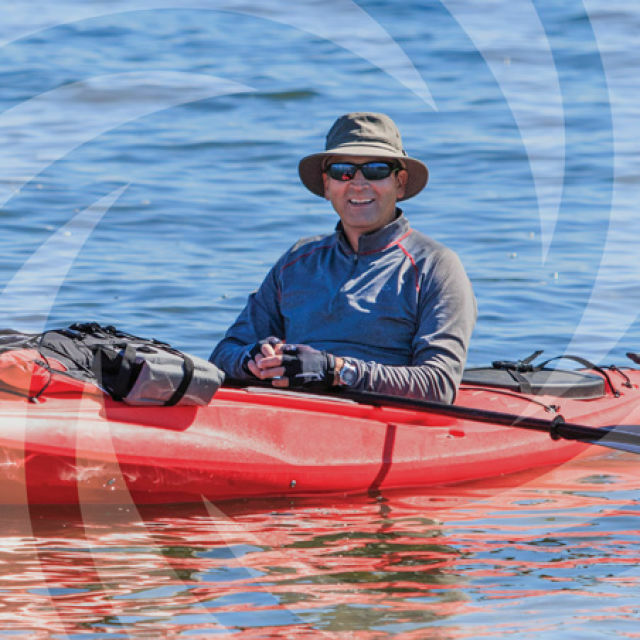 Ion was engaged to develop a regional organics campaign that provided impetus toward behavioural change in residents moving toward the upcoming ban. We wanted to communicate that this was a positive move for the region and the environment and increase uptake in green bin use dramatically. The brand essence and specifically the of fun is what drove the direction of talking food. Googly eyes on organic waste makes a quirky, direct connection with the viewer. We needed to affect behavioural change around organic waste and create a social norm where food waste is recycled. We wanted to communicate that this was a positive move for the region and the environment and increase uptake in green bin use dramatically. We didn't want to be heavy-handed, so the campaign approach needed to be light-hearted and fun. 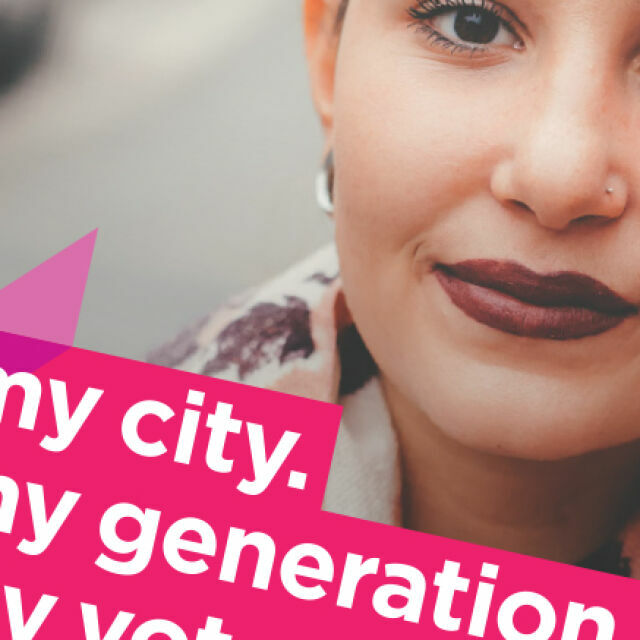 We established that a graphic approach would also engage a broader audience, including youth and ESL households. Our brand essence and specifically the idea of fun is what drove the direction of talking food. Googly eyes on organic waste makes a quirky, direct connection with the viewer. Our key messages were: Join your neighbours in a positive change for organic waste management in Metro Vancouver – we’re all in it together; Do your part, not because of the ban on organic waste, but because it’s the right thing to do; Our region and the environment will benefit by a major reduction in greenhouse gas emissions from landfills; Talk to your co-workers and strata councils about what corporations can do to help; Together we can divert over 70% of waste from landfills. We stressed the use of clear, simple language and clean, open design to create an informative, yet engaging campaign. This approach also works well for outdoor advertising given the few seconds available to convey a message. 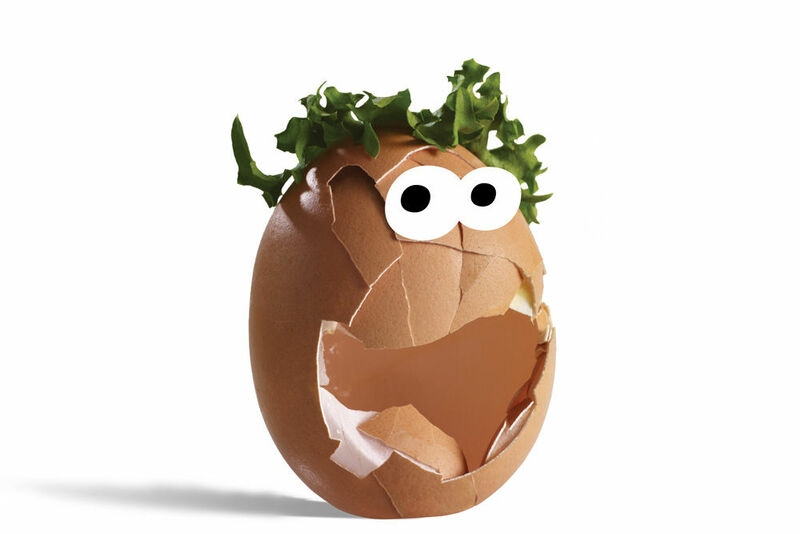 Initially, eight characters were developed with a range of materials: vegetables, fruit, cooked meat, bones, pasta, eggshells and fish to convey that all food scraps, not just vegetables, can be composted. As the campaign has continued and grown, we have added even more. 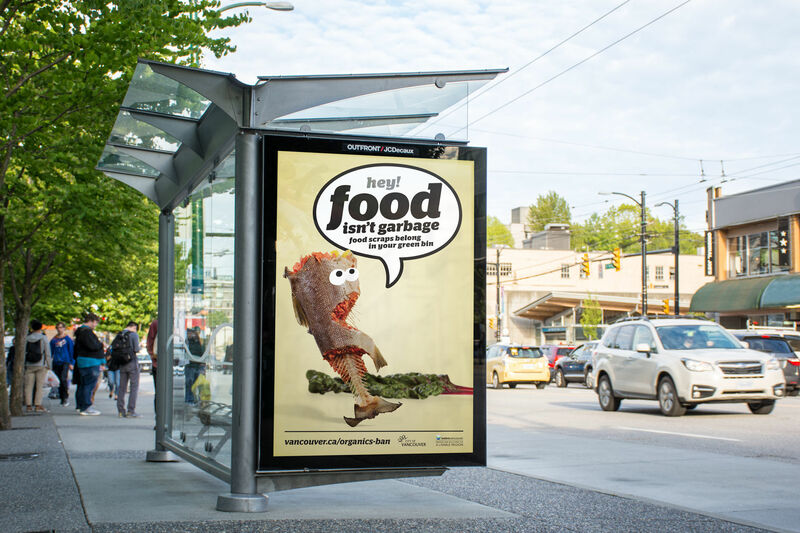 Now in its fourth year, this campaign has gained traction throughout the Greater Vancouver area, from billboards and bus shelters to community bulletin boards and in schools. While the waste diversion numbers speak for themselves, who can argue with a child? 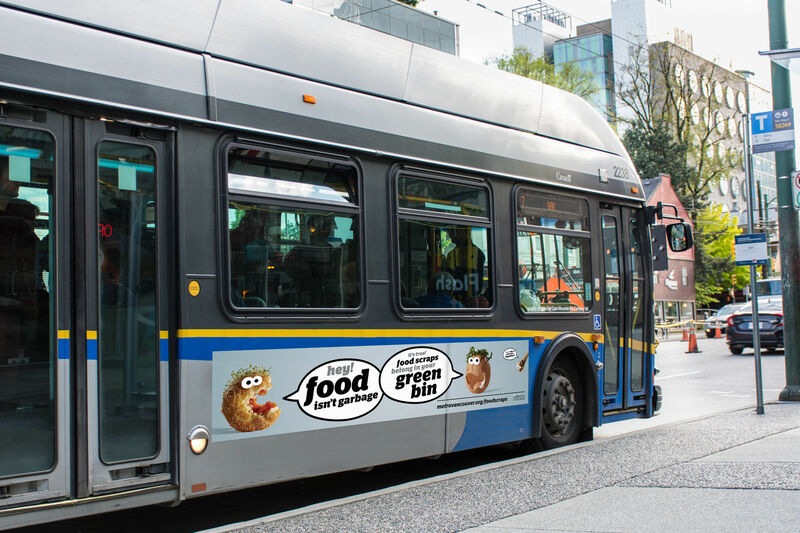 The characters are very popular with kids, and some will only ride buses that have the food on them.